Hi, I'm Yuki, Nori's younger sister. You've seen me with the family during other trips to Anguilla. But in August 2005, my Dad and I went to Anguilla alone, to buy some land. 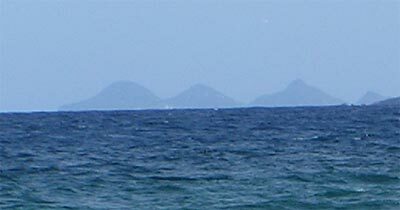 This photo, with St. Martin in the background, was taken near some Anguilla condominiums that we discovered by accident. 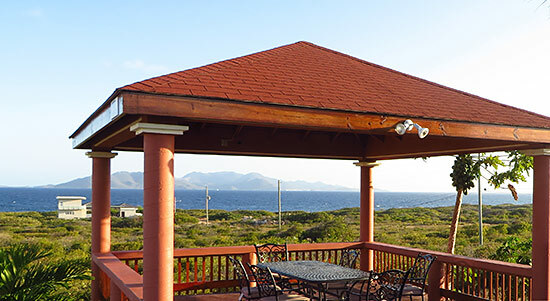 The land that we were buying is fairly close to Ocean Terrace Condos, a beautiful spot with views of St.Martin to the right and the Caribbean Sea to the left. My dad had spent several hours walking and photographing all over the land. He left me deeply absorbed in Harry Potter 6 in the air-conditioned jeep, while he examined the property from North to South, East to West, and all around it. 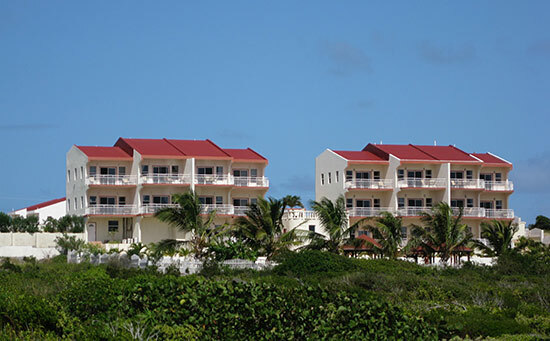 We were leaving to return to our villa when we noticed Ocean Terrace Condos. "Let's study the land from up there, Yuki," he exclaimed. He wanted to take some photos from that higher elevation. My dad got out of the car to take his pictures while I stayed in the car to find the caretaker of Ocean Terrace, just I was reach the exciting climax of my new Harry Potter book. My dad returned with a man, who we thought was a security guard. He turned out to be the owner of the condos, Ambrose Fleming, a very nice man. He even gave us a tour of the condos! We started at the pool. My dad looked so hot and thirsty after hours of tramping around on the land. I thought he was going to jump right into the pool! He really should remember to bring water with him when he goes out on his expeditions! Oh well, on with the tour. and the Anguilla coast line to the right, as you can see. We moved on to view one of the condos. All of the condos are the same, with one large, airy open room with kitchen, dining and living area, opening onto a large terrace. 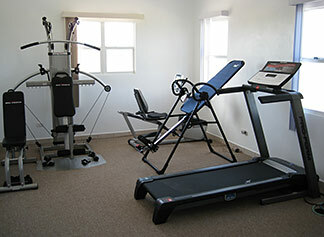 Each condo also has 2 bedrooms and 2 bathrooms. As Ambrose turned the key to show us the room, I half expected it to be either a) empty or b) poorly decorated. I was completely wrong for both of my options. 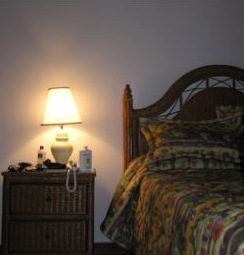 The condo was fully furnished and with an excellent flair of style. The kitchen and living area (the first room that you walk into) was extremely airy with magnificent views. 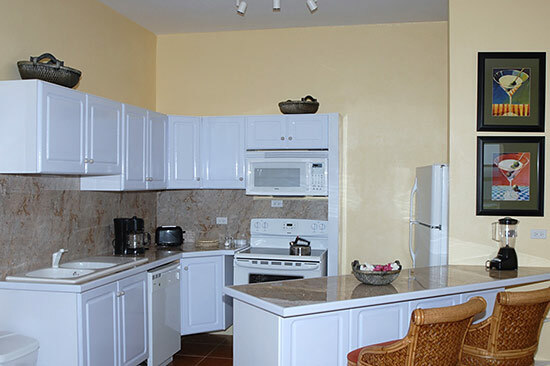 The kitchen was fully equipped with all necessary appliances (stove, oven, fridge etc...). The "great room" was extremely spacious and airy, with large windows and wonderful views. ... including, of course, the all-important TV. The bedroom was large and breezy, too. 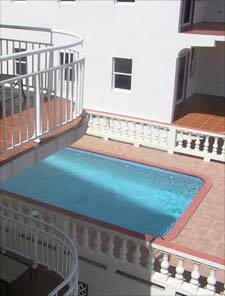 It had a balcony leading outside with a panoramic view of the rolling green mountains of St.Martin. Just at that moment, the phone rang! It was a friend from Montreal. 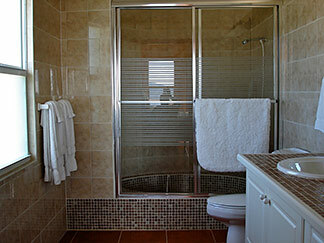 The bathrooms were nicely finished. Nori and I are both pretty finicky about having nice clean bathrooms. 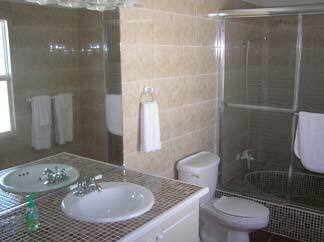 These were very nice, fully equipped with sink, toilet and bath/shower combination. The tiles appealed to me, attractively placed around the sink and bathtub. Ambrose explained to my dad that you buy all or part of a condo. "Part?" Yes, he went on to explain what makes these Anguilla condos unique. You can pay X number of dollars for the condo and then have it for a specific month for the rest of your life. It sounds like an attractive option, as you don't have to worry about your condo for the 11 months of the year that you're not here. 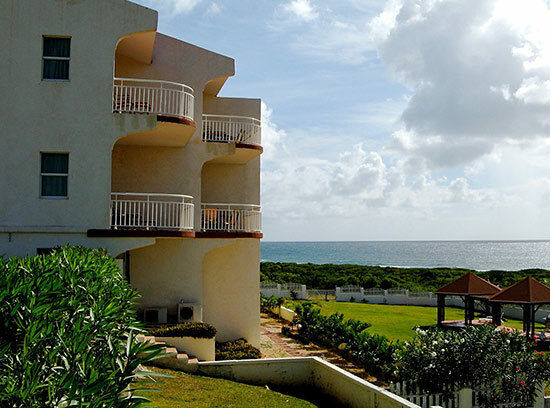 One year after discovering Ocean Terrace Condos, we returned to stay! Hello. Yuki here. 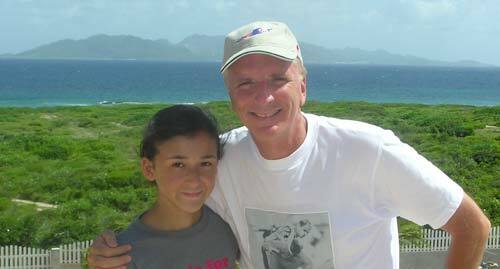 My dad and I had just suffered through a lost-passport-fiasco at Princess Juliana Airport in Sint Maarten. We were hot, tired, and frustrated. It's times like this when you really need a quiet refuge, an oasis to cool down, both mentally and physically. 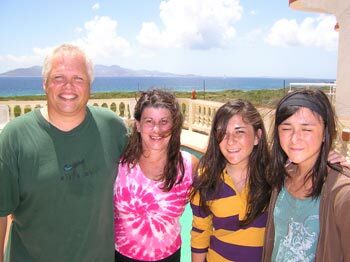 My Dad and I were one week ahead of Nori and my Mom during this trip and we had decided to go back to a special Anguilla condos discovery we had made during our Anguilla-land-buying trip. We arrived at The Ocean Terrace Condo, to be greeted with friendly smiles by Brett and his wife Nancy. They had bought a condo from Ambrose. They rent it when they are not in Anguilla and help Ambrose run everything. 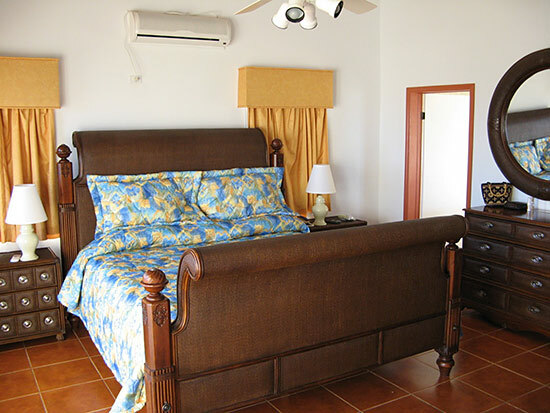 My parents enjoyed the master bedroom which had panoramic views of the open Caribbean or of St Martin. My dad and I were extremely relieved, after those grueling hours spent at the airport, to find that Brett and Nancy had put Carib and sodas in the fridge for our arrival! How thoughtful! Nori and I shared the spare bedroom, which had a queen bed, lots of room for Nori and me. My mom's favorite spot (she's hiding the Carib!). And what's not to love? 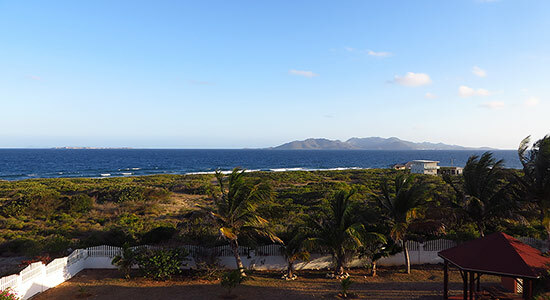 Spectacular views from this Caribbean condo... St.Martin to the right, the open Caribbean to the left, and on an clear day, St Barts straight ahead. The ocean by the condos is too rough to swim in so the pool was a perfect way to cool down from an adventurous day. He'd walk down to the ocean front, where all kinds of flotsam had washed up over the years and years. It accumulated because few people ever come here. He found a thirty-foot bamboo pole, and placed it near one survey marker. He kept going like this, topping various poles and long branches with brightly colored cartons or what-not. It took him days to figure out as the survey markers were well hidden amongst the bushes. When he retired back to our unit he could see exactly where his land was! The first few tries weren't accurate, though, so he had to go back out through the bush and re-adjust the flotsam. 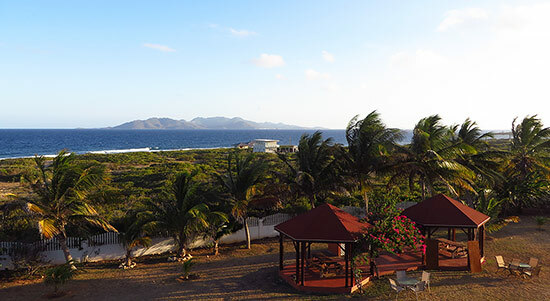 When we were staying there we would go for walks along the Caribbean shore. You can walk a long way, all the way to Long Pond Bay, which is so wild and a must-see. And the inshore reef was prime for whelking! Not only that, but I even had my very own salt water aquarium. See my "yellow zebra" (left of center)? I Love The Yellow And Black Stripes! 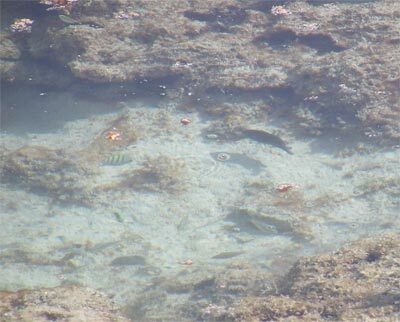 We found these fish in a little tidal pool at the foot of the property. There were several of these natural aquariums, all with brightly colored tropical fish. I never did catch the bright blue one with my camera, though. 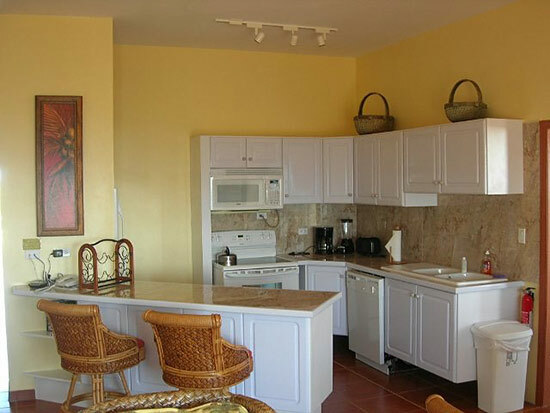 Not only is the condo perfectly located by the Caribbean Sea, with views of St. Martin, St. Barts and Long Pond, it is also only a quick hop into the Valley for groceries and sudden urges for chocolate cake from Fat Cat. And my Dad is delighted with the constant cooling tradewinds coming in from the East (plus or minus 8.7 degrees in case you are wondering!). Ha ha! And he's the ultimate wave maniac. The rhythm and "acoustic clarity" of the waves make him very relaxed (but I think he's joking with me when he talks about "acoustic clarity" -- either that, or he really is bonkers!). Brett and Nancy had just completed their Caribbean condo purchase. They told us that they would only stay there part of the year. 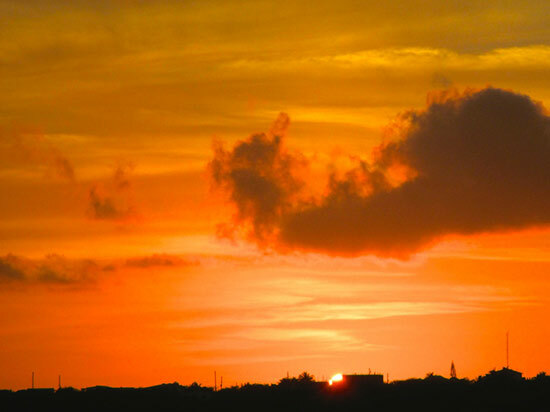 They live in Massachusetts and visit Anguilla several times a year. They rent this splendid condo when they're not there. 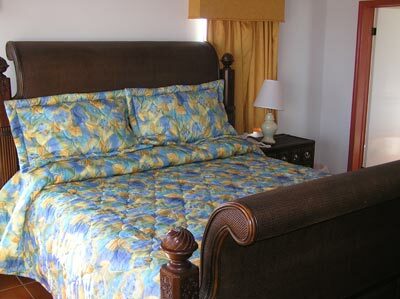 It's a great place to stay, at a reasonable price. 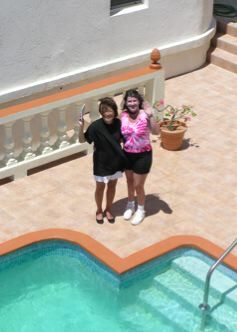 We recently had some friends visiting who were staying at Ocean Terrace Condos. It was an excellent opportunity to meet up with Ambrose and Paula (the owners) again and take a peak at what's been going on at Ocean Terrace Condos since our last visit. First, I was amazed at how well these condos have been kept since they were built. They feel exactly the same as they did in 2006 (when they had just finished construction). With Paula and Ambrose living on property, they keep a keen on eye on Ocean Terrace Condos, making sure everything is well maintained and cared for. They have added a few touches, including an outdoor gazebo that takes advantage of the lovely cooling breeze that always blows through this part of the island. That breeze is a real plus to staying in this area as it eliminates the need to cool your room with a/c AND it keeps mosquitoes at bay. There's also a full washer/dryer to do laundry if you're staying for longer periods. 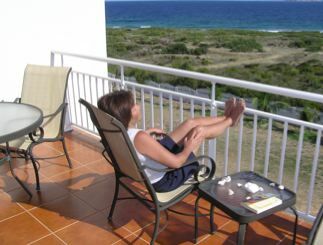 In fact, Ocean Terrace Condos is an excellent choice for those seeking longer stays (2 weeks+). 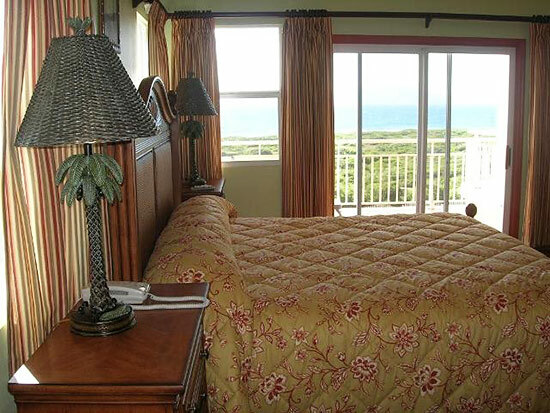 With affordable rates and all of the comforts of home, you have everything you need. 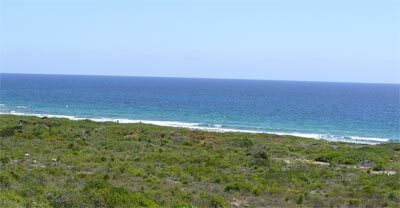 We live just down the hill from Ocean Terrace Condos, and yet the view from here (just a few hundred yards away) is so different. In a word? It's breathtaking! 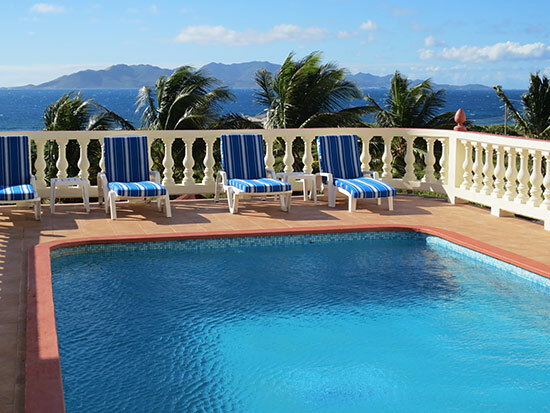 The clear Caribbean Sea ahead, St. Martin in the distance, even St. Barths on a clear day... from up on the ridge where Ocean Terrace Condos is set, the views are truly panoramic. Note: Keep an eye open for whales if you are visiting in April. They like to hang out in this channel! And, Ambrose and Paula built these condos with a clever type of design, one that truly gives you privacy no matter where your unit is located on the property. Thank you to Bob, one of the owners at Ocean Terrace Condos, for sending in some of these terrific shots!